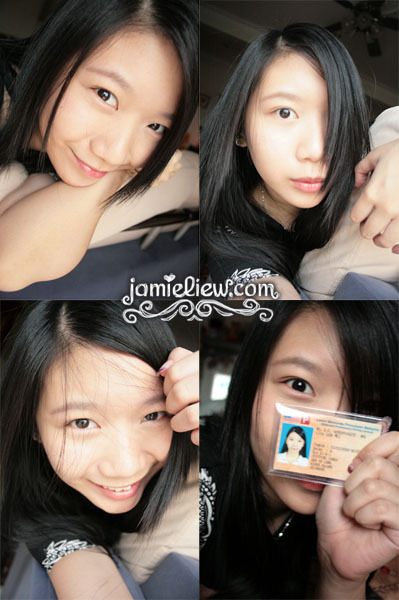 It appears that Jamie has passed her driving exam, and is now a P driver. PS : it’s Yee Hou. and now it is Jamie. =D. SHORT POST! I TOOK MY P! =D =D =D. I took my picture yesterday and I got my P today! =3. efficient enough kekee. I couldn’t believe I passed it still. I have a PHOBIA towards driving, if you don’t know =X. 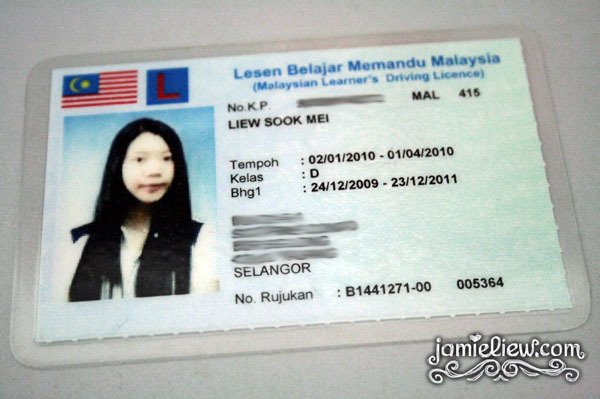 not really of what I’d expect from a P license. I don’t actually look so disgusting here! =3. I actually like it =D. 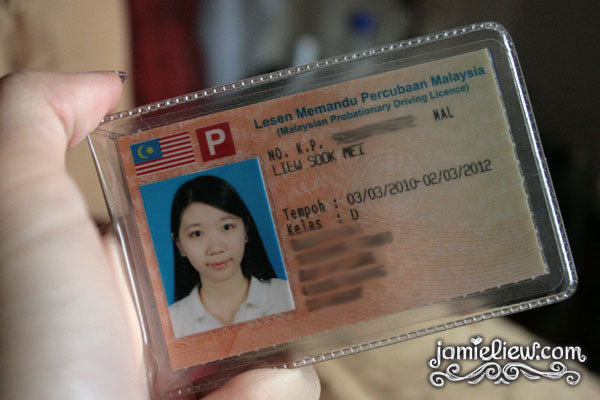 despite looking like a complete kampung/country girl. my happiness — shown. ^^v. and that’s my new hair. =X. and here’s my JU ON face. enough to scare the police away, says somebody. enough of staring. ENOUGH. *chokes* I am nice enough to post this on my blog. initially I didn’t want to post this up but to entertain you, YEAP. =X. okay going out now BYE! =3. You are now joining the crowd of awesome people. WTFFF IS THAT YOU FATTY?